RICHMOND, Va. — In a strategic attempt to win more votes from the 18-29 year old demographic, Richmond mayoral candidate Joe Morrissey has reportedly created an account on the popular social media app Tinder. The move comes in response to the rising popularity of other candidates such as Jon Baliles and Levar Stoney, who have seen increasing support from the youth population. 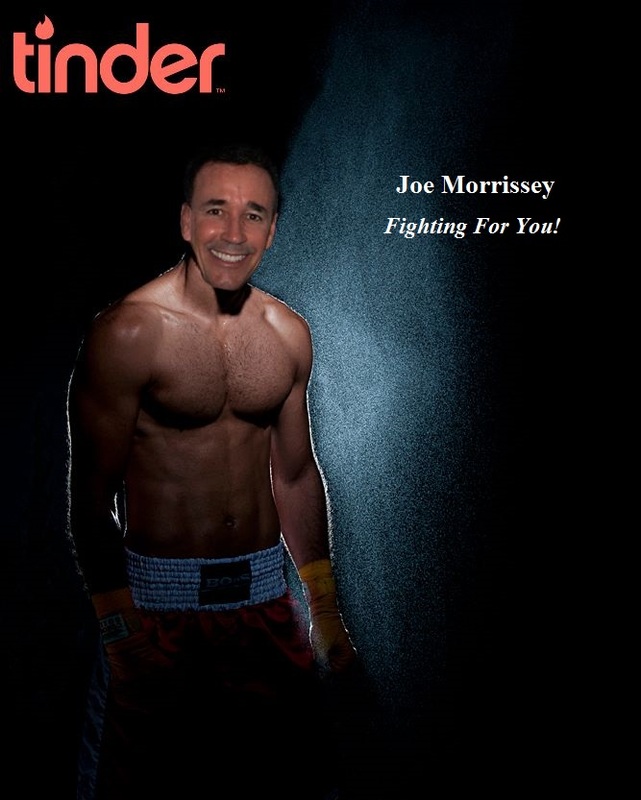 Reports indicate that Morrissey’s profile was first discovered earlier this month; upon coming across his profile when searching Tinder, users noted that his profile included a picture of a shirtless Joe Morrissey wearing boxing gloves, with the tagline “Fighting for you!”, and upon swiping right, the users were immediately sent to his campaign website. When confronted about what some have considered “controversial” usage of an app that’s sometimes used for casual dating, Morrissey defended his actions, commenting, “This is a political strategy, plain and simple. Besides, all of Tinder’s users are of legal voting age now, so we’re not contributing to the voting delinquency of a minor.” The other candidates could not be reached for comment; however, a quick search on dating site OKCupid discovered that Jack Berry, another candidate in Richmond mayoral race, has updated his account to keep up with Morrissey’s strategy.